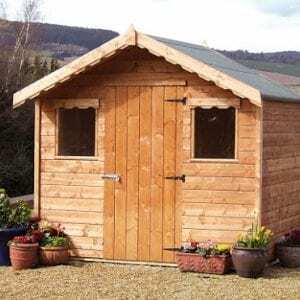 The standard garden shed range is the most popular selling garden shed. 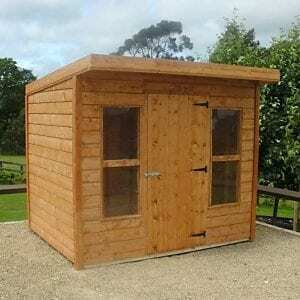 The window on the side of the shed is interchangeable so you can choose which side on the day of installation. The windows are glazed with perspex for safety reasons. The doors have three sturdy hinges and turn buttons top and bottom. 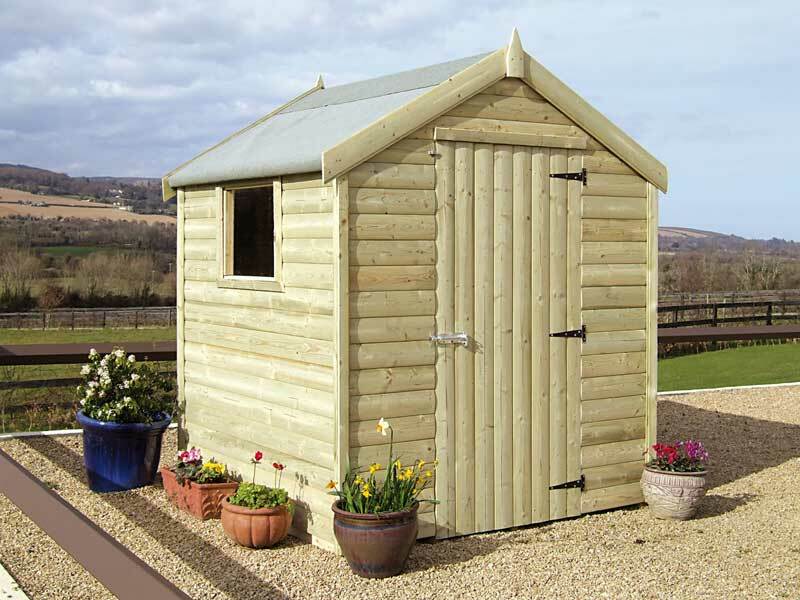 The standard range of garden sheds are available in three different finishes.